When we say "summer bulbs" we're talking about flowering bulbs that grow and bloom during the summer, as opposed to spring and fall blooming bulbs. These bulbs tend to be tender perennials that can't survive cold, snowy winter, so they are either grown as annuals or are dug and stored and then replanted every year. Summer bulbs include: begonias, caladium, cannas, dahlias, gladiola, gloriosa lilies, elephant ears, liatris, nerines, oxalis, pineapple lilies, tuberose and tigridia. Some of these are tubers and corms, but for purposes of planting and storing, they tend to be grouped together under the term “Summer Bulbs”. As I mentioned earlier, unless you live where the ground doesn’t freeze, you have to replant tender perennial summer bulbs every spring. Unlike spring blooming bulbs that are planted in the fall, summer bulbs need to be planted in the spring. Confusing, no? Summer bulbs need warm weather and warm soil. Since we can't predict the weather from year to year, there's no calendar planting date. Once the soil has dried out and warmed up to about 60° F (15.5° C) or more, it’s time to get summer bulbs in the ground. An easier rule of thumb to remember is, if it’s time for your tomatoes to go outdoors, it is also time to plant your summer bulbs. Most bulbs need a well-draining site, to prevent molding and rotting. Amending the soil with compost or manure will help the bulbs grow, bloom and store energy. In general, you plant bulbs about three times as deep as their diameter. So if you have a bulb that is 2 inches around, you would plant it 6 inches deep. A 3 inch diameter bulb would be planted about 9 inches deep. The package the bulbs come in often tells you the planting depth for your specific bulbs. Although you don't want to plant in soggy soil, once your bulbs are in the ground, you should water them in well. Then make sure they get regular water, but allow the soil to dry out between waterings. Keep the area weed free. This is true for most plants, especially while they are getting established. Weeds will compete with your plants for nutrients and the weeds often win. If you intend to dig and store your bulbs over the winter or if bulbs are perennial in your area, you should give them some supplemental fertilizer every month or so during the growing season. Any balanced fertilizer, low in nitrogen is fine. 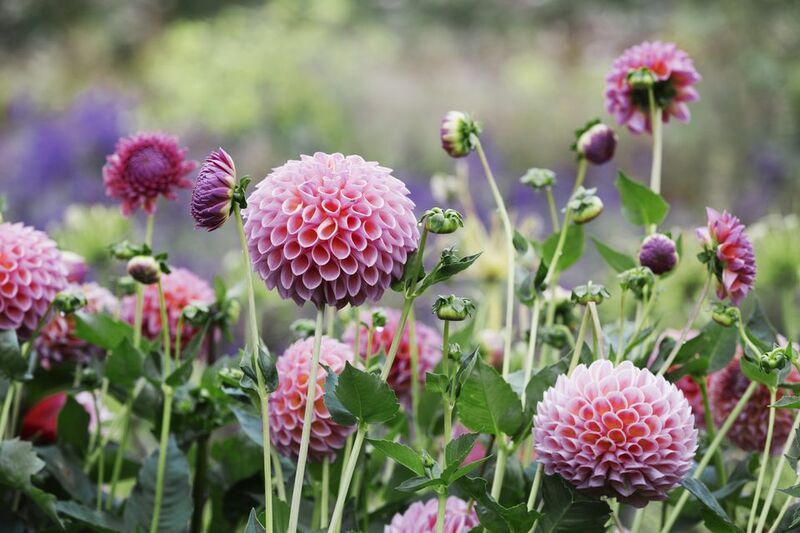 If you are growing your bulbs as annuals, feeding is not absolutely necessary, but a mid-summer dose of fertilizer will give them a second wind. Getting a Jump on the Growing Season for Summer Bulbs. If you’d like to get a quick start on growing your summer bulbs, you can pot them up indoors a month or two before it’s time to transplant them outdoors. Then you can either move them outside pot and all or transplant them into the garden. Of course, an even easier way to have summer bulbs blooming in your garden early is to purchase pre-grown bulbs. You can often find potted caladiums, elephant ears, begonias, and others for sale at the nursery, in the spring.